Thank you for helping to make the AA&NHPI Health Center Summit a success! 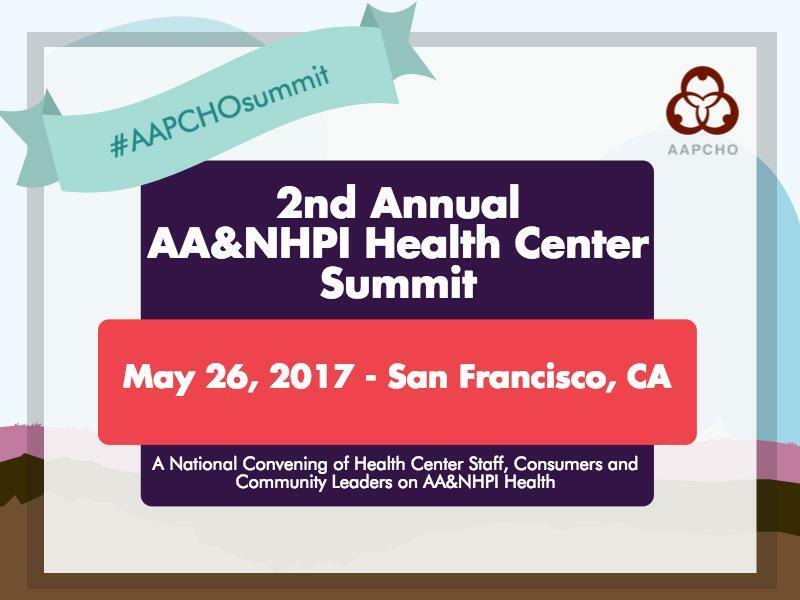 The Summit was held on May 26, 2017 in San Francisco and brought together the nation’s experts and community leaders on Asian American, Native Hawaiian, and Pacific Islander (AA&NHPI) health. To find resources from the Summit, click here.